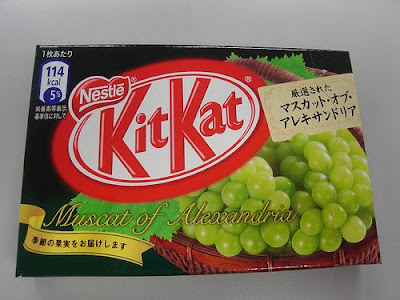 This limited edition KitKat comes in a pleasing toxic green shade, but that's where the pleasure ends. The waxy coating crumbles instead of melting and the flavor can't really be compared to anything I've encountered before- a raisin that's slightly off? I put it down after one bite. Enough. This is a total riot!!! !